Looking for a special gift? 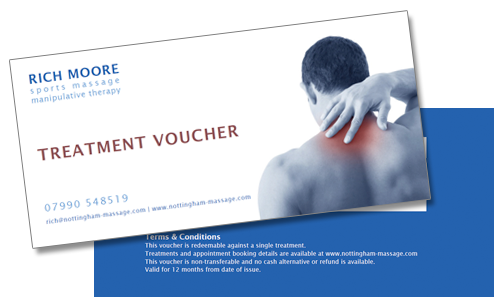 How about a sports massage voucher? Sports Massage vouchers are available for 60 minute appointments. Click the button below to buy online.